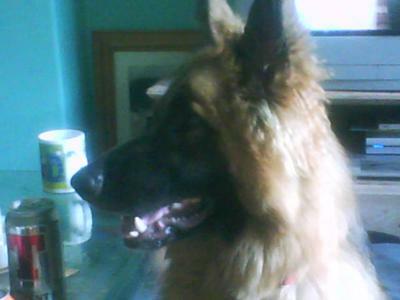 Just going on the picture you've sent I would say that it does appear to be a full blooded German Shepherd Dog. And in this case she appears to be a long coated German Shepherd, some people call them long coats, I have always referred to them as "coated" German shepherds. Hope this helps, good luck with your new German shepherd. Enjoy having her around - she is definitely a beauty (from what I can see of her)! I hear now you can get a dog DNA testing to find out the breed, it might be costly but check it out. Your Heidi looks like a German Shepherd - long coat, just look at her face and compare with other long coat German Shepherds. I know you love her. German Shepherds' are very protective, my Mia 2 years old, loves to play with balls, tennis, soccer, softball, it doesn't matter. She is always after the rabbits and birds, that's another characteristic of shepherds. Take of your Heidi and she will take of you!